Mail4Rosey: @HP + @Meghan_Trainor #BENDTHERULES While on Tour! @HP + @Meghan_Trainor #BENDTHERULES While on Tour! Disclosure: Mail4Rosey has partnered with HP and Meghan Trainor in support of the singer's "That Bass Tour." Product and/or monetary compensation were received, but all opinions stated are genuine and my own. HP Pavilion x360 believes that good things come in fours. I couldn't agree more. There are four songs I have been singing throughout the day, including Meghan Trainor's 'All about that Bass,' which never seems to be far from a beep-bop or two for me since the song was released. The HP Pavilion x360 can be used in four different ways! And now I have the HP Pavilion x360 that can be used in four different modes. It has the traditional laptop mode, that I use the most, but it also has this cool tent version that is perfect for when we are out and about and I don't want to take up a lot of table room (like in the picture above). It would also be great, I think, in the kitchen...because it would allow me to see recipes I am working on quickly, without me having to turn a page with floured-up fingers. Floured-up fingers can quickly ruin pages in a cookbook (not that I would know that first-hand or anything). 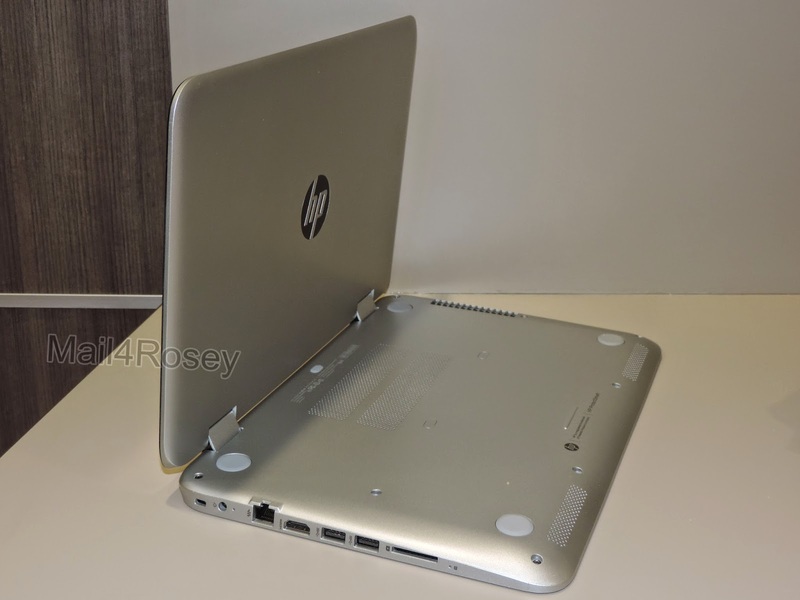 Bend the keyboard to the bottom to display the HP Pavillion x360 in Stand Mode. The Tablet Mode is easy to hold for little man! or vertically as seen in the picture above. 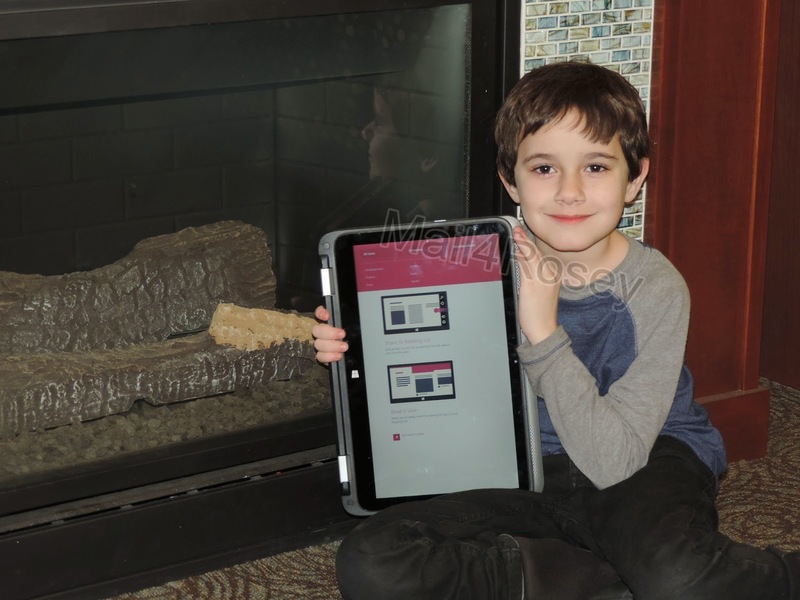 The Tablet Mode is our youngest child's favorite because it's easy for him to move and hold. The screen moves like a traditional tablet, allowing you horizontal or vertical access, and it makes it a breeze to read children's books, access learning apps, or play a video game. In addition to all that cool, HP and Meghan Trainor are bending the rules yet again (in a good way) by allowing you to follow Meghan on tour! That is a new and exciting concept to help bring the tour to life for the fans! #BendTheRules and follow along as the "That Bass Tour" makes it's way across America. This one's going to be fun, and I hope to see you there! Wow you are so lucky. Is there a celebrity you haven't seen. Wow. That thing is awesome. When you got into tablet mode, it's a TABLET! I love the size. I've never been a fan of this whole trend of downsizing tablets. If I wanted that, I'd have a second phone! Me Too Ben, As I get older, I don't need anything to be downsized. I have an OLD laptop. It's seen better days. I think I need to upgrade. lol, wow, look at that bend on it. How neat is that?! We have a tablet kind of like that and we love it. I need one of the for my traveling. I really appreciate the different positions you can put it in without having to rely on a cover or something else to help you do it. This is a great device. I agree, this looks like a great device. I like how you can just fold it into a tablet. Definitely! I love that the keyboard isn't detachable, I'm always worried I'll lose keyboards that detach. Thank you! I'm in the market for a tablet (easier for travel) and this info is what I needed. Of course, I'm a Meghan Trainor fan, so that helps too! That is awesome! I so want this for my blogging. Perfect for blogging on the go! This looks like a great product! I had no idea Meghan Trainor partnered up with this product! Sounds amazing! Very nice for traveling or just sitting on the couch! love the screen size! I absolutely love the tent mode especially for doing things in the kitchen! I'm really considering purchasing this. I've always liked HP products! 4 modes would sure come in handy for times when you need it. Awwww my kids would love to see her. They are a huge fan of hers. What a nice event. My daughter is going to need a laptop for school next year and this looks like a great option. I love the features of the HP Pavillionl Really likes how the screen flips. I am looking for a new laptop this may be the one. I too like the features. What an awesome tablet! I just got a new HP printer. It's still in the box, but I'm hoping to break it out and play with it this week! That looks pretty cool and quite flexible. We have quite a few HP products and they have always worked great for us. I have had HP products for years too and they have never let me down. I love this particular tablet. I want to get one of these for my self so bad. I have been waiting for one to get real cheap so i can get it. Love Meghan Trainor she is so talented and beautiful. Oh and I want this HP computer like now. This HP looks awesome! I love that it's so versatile! I have this computer and I LOVE it!! Tent mode is my favorite. That computer looks amazing! I want! My acer does that. It is really a neat feature. This looks like a great computer. I love that you can fold it to make it a tablet. This tablet is really versatile. I would love test this beauty out for myself. I'm disappointed in my laptop - I may have to go check that out. You're convincing! I do like that it can work as a tablet. The truth is, I always want all the functionality in the world... but less clutter in life. Any 2 for 1 option helps that goal. This is such an awesome computer/tablet. I want one!! What a cool product! I think it's neat that it can move the way it does - tablets are all the rage right now! I love the size of this! Perfect for home or on the go! What an interesting laptop! This would be perfect to take when I go into the city. This looks like a cool laptop. To bad I just replace mine I so would have bought this one. I love Meghan Trainor and her message so much. That laptop is so super cool. 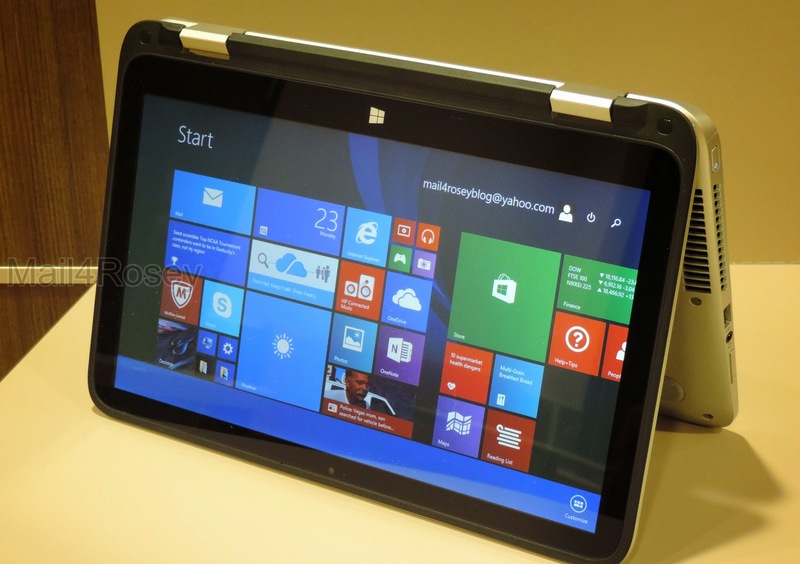 It is on my wish list since I run Windows 8 at home! It would be perfect for blogging! Loved that video bringing it all to life with the HP laptop possibilities and Meghan Trainor - I would like one now! I was just recently able to get that song out of my head LOL! I love it, and it's so catchy! Love the HP tablet! I have one and it works perfectly for me! The kids adore it too! I love the versatility of the tablet. I don't know if I'd buy another desktop when mine dies. This sounds amazing! I love everything you can do with it! Sounds awesome! I want one! I love how this can bend! It looks so functional!!! We have this cover that magnetically attaches to our ipad...it is so frustrating! I would love this product! What a cool computer and I love that it is so flexible! This HP has some really neat features! Oh, I love HP products and Meghan Trainor. Cannot wait to see her on tour. Your random travel destinations sound like they could make for an amazing overseas adventure!You would probably want to take your new computer along for the trip so that you could blog the entire thing! That song by Meghan Trainor is one of my favorites... my niece too. She is always singing it. I love that HP is giving this type of access to her tour! How fun that they teamed up! My daughter loves that song. It's catchy, I have to admit. 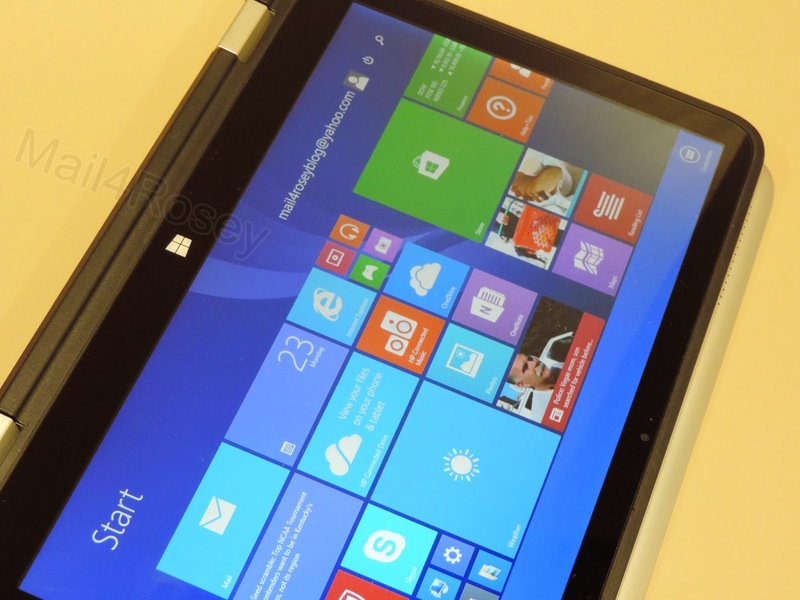 I keep eyeing this HP x360 and need to find an excuse to justify having another tablet in our home soon, I think! Love the features! What a great piece of tech! We love Meghan Trainor in our house! I have not heard of her, I will have to check out her tour. I love the HP Pavilion x360. My husband got in a few at work to test out for their employees and now I want one for home. Nice! HP is my preferred laptop. Wow this looks fantastic. Talk about doing it all! Very convienet and a great way to be able to do just about anything! I love it! Love that tablet, and I also enjoy Meghan T's music! I would love to check this out! I love it and Meghan Trainor is amazinG! That was a fun video of Meghan Trainor! I would love to have this HP for myself! We got one and LOVE it. It is so lightweight. I've been reading books on it! Oh wow, I didn't realize how big those were until I saw the photo of your son with one. I was thinking they were like iPads! I would love to have one of these for when others are using the computer. Sometimes I get inspired for blog posts and have nothing to post them on. I am looking or a new laptop - I need to check this out! I would love to have one of those laptop/tablets! Love how versatile the tablet is! My kids and I are big "All About the Bass" and Meghan Trainor fans. Love the idea of being able to follow the tour. Wow!! How cool is this? It's funny all you have to do is mention that song and it's in your head all day! Anyways, I would really love to take that bendy computer for a spin. So fun! I love me some HP & Meghan! Very neat to be able to follow the tour like this! I love that tablet and Meghan Trainor! I could use a new laptop, so that would be great! That device is very cool. My kids sing that All About that Bass song all the time. I would love to give one of these to my husband for father's day. He would love it. I don't know what I love more the tablet or Meghan Trainor. I can't believe I didnt know about this all before. One of the best things about modern technology is the versatility. We now can use our devices as we want instead of how they were manufactured. I love how convertible it is! My kids would definitely use it in tablet form, where I would do laptop most often. I do think Megan Trainor has some catchy tunes! Wow I would love the HP and love that you can change it four ways...so versatile! If I ever get a laptop--it will be this one. I love that 360 degree movement it has. Perfect for typing or reading in bed or watching a movie! That's a neat laptop. It seems the way they are making them now, it's taking really competing with the iPad/table market. Apple def needs to come down on their price for iPads but that probably won't happen. I really like this. It looks so versatile, for pleasure and working! i love this. looks like you can take eit on the go very easily! While I love Meghan Trainor I'm not particularly a big fan of HP but that product looks really cool. I need to upgrade. 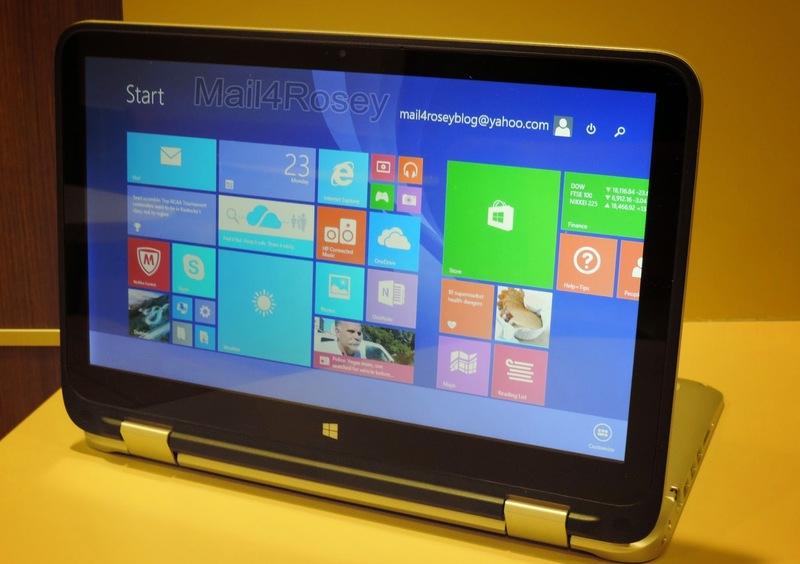 The HP Pavilion x360 looks cool. ahhh, i love this! i was just telling steve that i would love a smaller laptop or netbook. he got me an awesome laptop for mother's day last year, but it is huge, and i'm just getting used to it! i'm on our regular computer now. i love all you share! that photo of all your children is so so sweet! Kiddo loves Meghan Trainor. So listen to her all the time. HP is great. My husband has a HP laptop. Its older, but it still works really well. And yes I do love this ability of HP laptops! I hope to save up for one sometime. And gosh your little one is growing up! I have something very similar to this and Iike it. I wonder how much different these are. Such a versatile lap top! Love how it can "bend" in all those configurations! We love that song All About that Bass! by MT! I'm all about that bend, that bend. That is a nice looking device. I am going to be needing to make an upgrade soon and I will have to check that out in store. Wow, that's really neat. I love how it bends forwards and backwards. Very convenient. I wish I had gotten this tablet for Christmas. I am now in search of the perfect cover for the tablet that I have. So far, there's been a problem with each of them, only one allows me to have it stand up. We love HP. Our desktop is actually HP. That is a cool tablet, without a doubt. My son would be over the moon if he will get that for this birthday. This is the type of tablet I have been wanting for a long time. I am stuck on the laptop type thing as I use a Chrome book but I am going to have to check out this one. Sounds great. I'm a Mac user all the way, but my husband would be all over this!!!! I will have to show him this post as soon as he gets home! This is such a nice tablet. I love that it can go into four different modes. My family would love to have this!! I'm a mac user. I know all their products are more expensive than PC. I'll try anything. It comes in handy that I get a laptop with work. Lovin' the versatility and flexibility of this HP product. I've always loved the brand, and here's another reason why. I think my sweetie would like this model. By the way, TRainor does make some pretty catchy songs, huh? The tablet mode is my favorite. If my MacBook did this I would just be happy. I'm totally loving mine! So cool the 4 modes! What a great tablet! I love the versatility. I love that you can change the style to suit what ever activities your doing. hello tent mode for movie watching. I love this computer/tablet so much. If only I had seen this before I bought my new laptop. Wow - I love the bendable function. I can think of all kinds of ways that would make my life easier! Such a great family device. We have one and I love it and the flexibility is perfect. I like this. It is larger than our tablets, but still looks like it would be so much more portable than having to bust out a laptop when needing to do something. I so need an upgrade on a portable device and this one would be ideal! Also shared on FB! Sounds amazing. My youngest needs it! I love HP products. I have this on my wish list :). 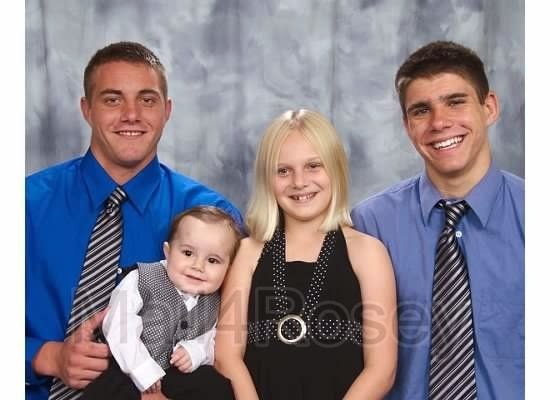 And what a beautiful family! What a cool device and great size. The tent style would be very handy in the kitchen for cooking or great for watching videos or movies. And I love HP, have many HP items. And being able to follow Meghan on tour is awesome! Thank you for a great post. Great laptop! Love the video! Crazy how many cool products there are , it's good to have help picking through them to find the bestter (better and best!) ones. Great review on an awesome looking device! Thank you for sharing! Very interesting, I have a laptop too, but believe it or not I only use it for emergencies and traveling. I like my desktop computer & I'm not one for change. Thanks for sharing. This looks like a wonderful tablet/laptop! I like Meghan Trainors music!